Lock in a great price for D'Altons Resort – rated 8.9 by recent guests! Love the accommodation. Beautiful setting. One of the light bulbs was blown but we were not even bother to ask to change it! There were wild kangaroos outside our cabin each morning. Close to restaurants and shops. There were long queues at the ice cream store every time we were there. Really enjoy our trip to Grampians. Surprised that the fruits were even cheaper here than in Melbourne! The location of the D'Altons Resort is very good, close to the eateries and start of the various walking tracks. The cottage was spacious and clean and the manager very friendly and helpful. We also enjoyed the pool - perfect for a hot day we have had. Quiet, peaceful area for a lovely retreat weekend. Studio was very roomy and the spa an added bonus. Very close to town although we didn't walk in. Owners were very helpful and fixed our spa very promptly! I loved sitting out on the balcony enjoying the view and listening to the bird life or when chilly the wide open windows allowed us to continue to enjoy the view. We would consider staying again and strongly recommend. The location is great, the cabin was clean, must be a great place to stay in summer.The hot tub was heavenly after long cold hikes.We appreciated the map and tips on where to go! Easy walk to the township, and Brambuk; nice cozy bed-sit; great for a couple; great outlook up to the 'Wonderland Loop' track. good bed, big room, great view from patio to watch birds. Good to have kitchenette, fridge and microwave. Great location with wildlife on tap! This was greatly appreciated by our overseas guest. Reception very friendly. We self catered in but the location is very close to walk into town or across the road to the Indian restaurant. 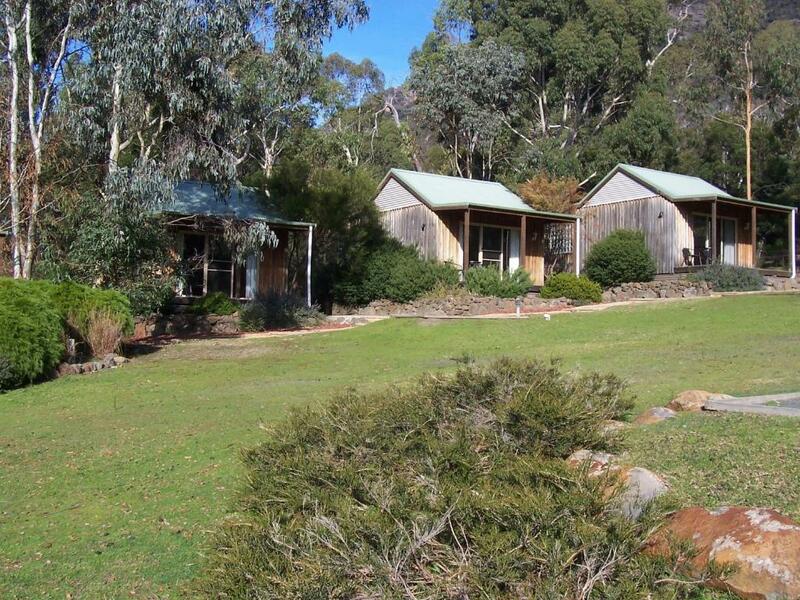 D'Altons Resort provides free WiFi and rooms with air conditioning in Halls Gap. Among the various facilities are a seasonal outdoor swimming pool and a tennis court. Guests can use barbecue facilities. Guest rooms at the resort are equipped with a seating area. Every room has an electric tea pot and a private bathroom, while selected rooms will provide you with a balcony and some have mountain views. The rooms include a closet. D'Altons Resort has a playground. Ararat is 30 miles from the accommodation. This is our guests' favorite part of Halls Gap, according to independent reviews. This property is also rated for the best value in Halls Gap! Guests are getting more for their money when compared to other properties in this city. 뀐 Located in the top-rated area in Halls Gap, this property has an excellent location score of 9.4! When would you like to stay at D'Altons Resort? This studio features a balcony, toaster and stovetop. This double room has a balcony, kitchenware and seating area. This family room features a balcony, spa bath and barbecue. Please note that the maximum occupancy is 4 adults. This family room features a balcony, toaster and kitchenware. House Rules D'Altons Resort takes special requests – add in the next step! Debit card D&#39;Altons Resort accepts these cards and reserves the right to temporarily hold an amount prior to arrival. D'Altons Resort accepts these cards and reserves the right to temporarily hold an amount prior to arrival. Very cosy, clean and comfortable place to stay. Only soap supplied, had to ask for shampoo. Shower inside big spa bath , slippery and difficult to get in and out, no shower curtains, and disconcerting location near the bed. Electric cook top not easy to use (dials had no indications re. temperatures) and took ages to heat up. Cupboards with plates and crockery much too high, had to stand on chair to reach. Also microwave dangerously high up. The chalet was a little dated, but the modest price reflected the situation. eg the pool was not cleaned and not in use in Feb. The location, the animals, there were kangaroo, deer, blue robbins, butterflies, the mountains surround your every view in the resort. The first two days there were amazing, absolutely loved it. Was able to share the pool with the guests the first two days. Overall I loved coming here very much, my only problem was the size of the pool, other than that it was so peaceful and beautiful and relaxing. Not quite enough blankets. The door didn't lock and the fly wire on the front sliding doors was ripped and had a hole in it. Only one element on the stove worked properly. It just needed a little tlc. The natural environment - the beautiful native plants and wildlife - it was a lovely setting. The studio cabins were quaint and comfortable. The electric stove didn’t work properly. Wound up cooking dinner and breakfast on the bbq.